Thanks very much for linking that Williams and Ceci article. That was really interesting and quite heartening. I say heartening because I don’t think the bias being shown in that article is unfair. I think the gender of the candidate is a relevant factor in this instance, and in this scenario preferring women when all else is equal will ultimately lead to better outcomes for society. Those decisions are being made in a context of women being underrepresented in the fields* and I think science is a field where equality in gender representation carries instrumental value. I think this instrumental value comes from provision of new perspectives and minimising blind spots, creating an environment conducive to all people contributing their best, and working towards a stronger applicant pool in the future, one where talented women aren’t discouraged from pursuing careers in these fields. So at this point in time, to me it seems that, all else being equal, being female makes you a more valuable candidate in those fields. This may change in the future if parity in representation is reached; in that case I think it could be unfair and potentially damaging for science and society if there was a persistent bias in favour of females. To take a different example, I think gender equality is also valuable in school teaching. 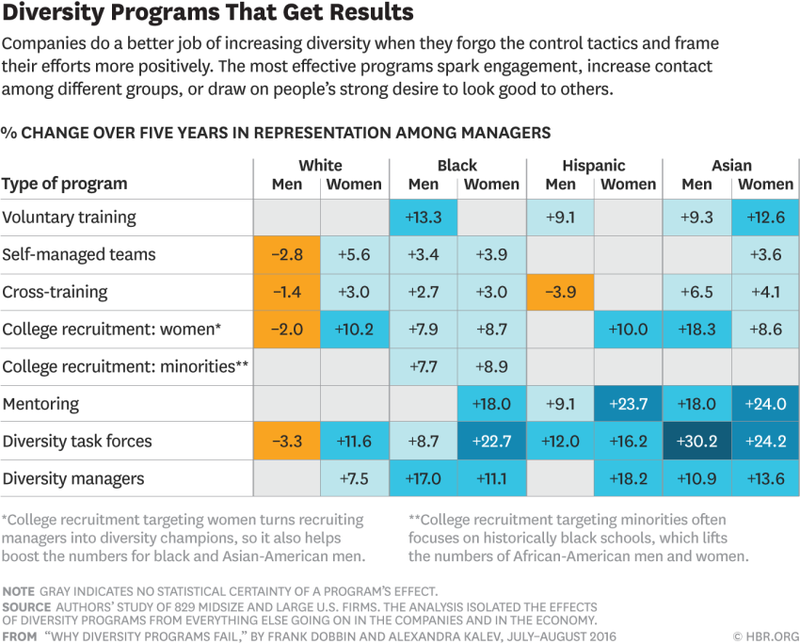 If I were a school principal and the vast majority of my teaching faculty were female I think I have good reason to prefer a male candidate for a new position if all else was equal in applications. 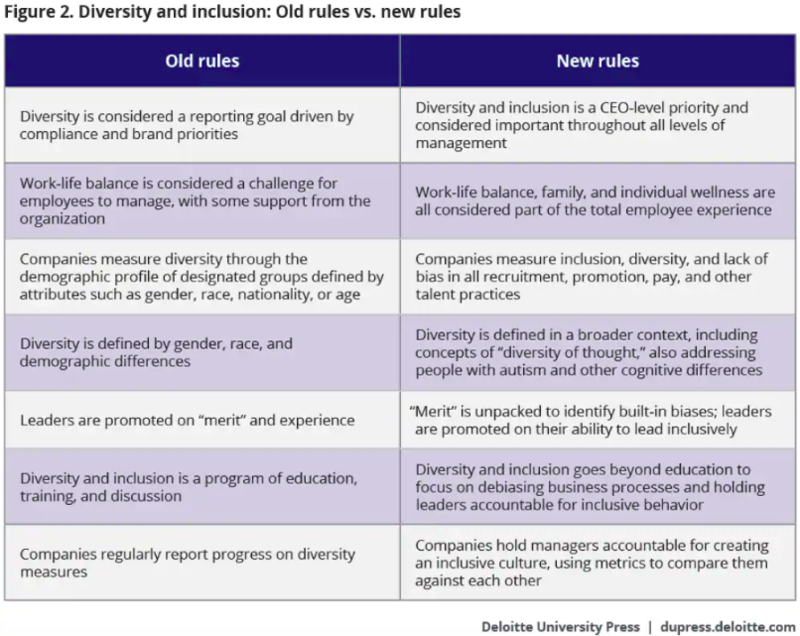 I think Kelly's recommendations are aimed at someone who has decided that they want to improve diversity in their organisation/field, so it seems fine to be explicit about when tactics are or aren't helpful for this particular aim. She's given some reasons why diversity might be valuable in general but of course the value of diversity will vary depending on the field and context. If you don’t agree that gender equality carries value in science I’d be interested to hear why you hold that view. 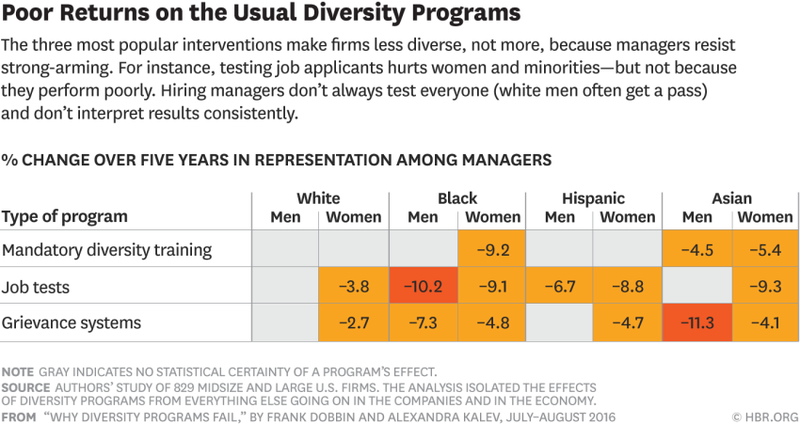 *The article notes that in two of the fields (engineering and economics) “women are substantially underrepresented” and in two (biology and psychology) “women are well represented”. Unfortunately I can’t access the cited paper that describes what they mean by “well represented” – some quick googling suggests that women are still under-represented in higher positions in those fields, but feel free to correct that if you have better sources. Good post! Regarding casebash's concern about tradeoffs: I think there are clear net benefits to many of these techniques, including matters of basic politeness (e.g. letting people know they are encouraged to bring partners of any gender to events, remembering an "other" option for gender on your forms) and sound business strategy (e.g. only listing actual requirements on your application form, defaulting to flexible hours when that's feasible). If presenting these as "strategies for equity and inclusion" means they're more likely to be adopted, that's a promising development. Of course, not every organization will benefit from every suggestion, but I like these kinds of "toolbox" posts, which offer a set of options (of varying degrees of implementation complexity) for organizations that want to accomplish something. Almost anyone trying to hire for an EA org is likely to find at least one useful idea here. "In general it’s probably best not to anonymize applications. Field studies generally show no effect on interview selection, and sometimes even show a negative effect (which has also been seen in the lab)" - It seems strange to mention this and then not even address the obvious implication that one might draw from this. The other point is that these practises are analysed as though they don't have tradeoffs, when there almost always is. I suppose discussing this would make this document even longer than it is, but you have listed these as "recommendations" as opposed to "possible approaches".